The headline “FDA Regulator, Widowed by Cancer, Helps Speed Drug Approval” has created quite a buzz across the world. The article, published in The New York Times earlier this year, said that the death of Dr Richard Pazdur’s wife, Mary, who battled ovarian cancer for three years, finally forced the US Food and Drug Administration (FDA) to work faster at testing and approving new drugs. In December 2015, TapImmune announced that the FDA had bestowed Orphan Drug Designation to its candidate TPIV 200 – a cancer vaccine found effective in treating ovarian cancer. TPIV 200 was found to be safe and tolerable in Phase I trial conducted on subjects (here patients) with both ovarian and breast cancer. In addition to this, Syndax’s entinostat caught FDA’s attention early this year. This oral treatment could boost the immune system and offers an effective response to tumours. 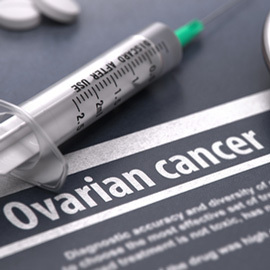 Merck KgaA and Pfizer have decided to test the combination of their co-developed therapy, Avelumab, with entinostat for the treatment of ovarian cancer. The global pharmaceutical giants revealed that they plan to enter the late stage of development of entinostat if the outcome is positive. Opening a fresh chapter in the engagement of genomic science to combat ovarian cancer, the FDA approved AstraZeneca’s Lynparza (olaparib) in 2014. The medication was tested on patients with advance ovarian cancer generally linked with a defective BRCA gene. Shares of Cellceutix soared astonishingly when its drug Kevetrin was granted Orphan Drug Designation in 2015 by the FDA. Found effective in treating ovarian cancer in trials, the approval granted Celleceutix access to federal, lower application filing fee as well as tax credits. Earlier this year OXiGENE Inc. confirmed that the FDA designated CA4P as an orphan drug for treating neuroendocrine tumours. The drug has already been recognised by the FDA for treating ovarian cancer. The bigger picture here shows that modern drugs have done a surprisingly commendable job of providing cures for diseases that were considered fatal earlier. But the inevitable truth is that cancer continues to take millions of lives each year, until, hopefully one day, a cure for the disease arrives. A report published by Allied Market Research reveals that the World Health Organization (WHO) confirmed, approximately 2,238,700 women had been diagnosed with the disease in 2012. Studies confirm that ovarian cancer is found to be clinically evasive and aggressive. However, clinical trials for approval of ovarian cancer drugs seem to be moving fast. There is definitely a greater sense of urgency for treating ovarian cancer these days from pharmaceutical companies. 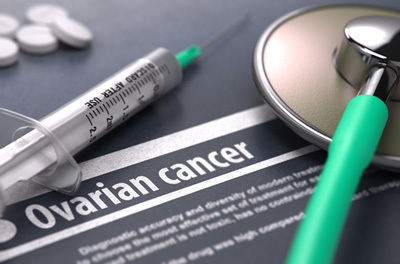 Another study from Allied Market Research unveils that the ovarian cancer drug market would garner $111.9 billion by 2020, confirming that research in this area is big business. Additionally, it is important to mention that the surge in developments in genetic research has made many new and up-and-coming medications highly effective and more efficacious in trials.